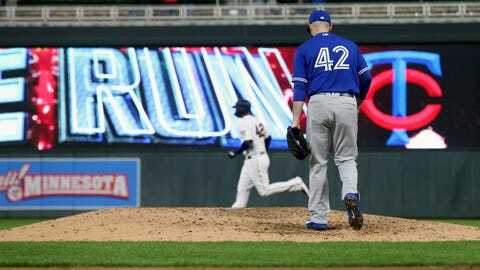 MINNEAPOLIS (AP) — Teoscar Hernández had quite the blooper for Toronto on the basepath, a lapse in focus that could have proved costly. The Blue Jays will let second baseman Lourdes Gurriel Jr. decide when he’s mentally ready for action on defense, planning to initially use him as a designated hitter with Triple-A Buffalo. Gurriel was sent down on Sunday, after a second throwing error in as many games.